The new laws on Cuban cigars allow travelers to bring more Cohibas, Montecristos, Romeo y Julietas and other Cuban cigars into the United States. This applies not only to cigars purchased in Cuba, but also to Cuban cigars bought elsewhere in the world. It's not a free-for-all—some limits remain—so the editors of Cigar Aficionado have created this list to answer your questions about what you can and cannot do. I'm going to London. Is it OK to bring back that box of Behikes? Yes you can. Bringing back Cubans from a third-party country was off limits before today, but not anymore. You may return to the U.S. with Cuban cigars from most any country. I'm going to Havana next month. What about the $100 limit? That has been dropped. Before this change, you would have only been allowed $400 worth of Cuban goods, only $100 of which could consist of tobacco and/or alcohol, which didn't buy you very much in the way of great cigars. Those limits have been removed. I have a big suitcase. Can I bring home 20 boxes? So long as you don't intend to sell them. Resale of any kind is prohibited. But you will have to pay tax on most of those cigars when you reach the U.S. The U.S. allows you to bring in up to 100 cigars (four standard boxes) or $800 worth without paying a duty, whether the cigars are Cuban, Dominican, Nicaraguan or from another country. You can do this once every 31 days. Quantities above that will be taxed. And if you're bringing more than 50 Cuban cigars from Cuba, Cuban officials will expect you to have invoices before you even leave the country. Keep your paperwork. Can I give Cuban cigars as gifts? Yes you can. While you're prohibited from reselling any Cuban cigars you come home with, the Office of Foreign Assets Control's new laws allow you to give them away as gifts. Your friends will be happy. I live near the Canadian border—can I bring back Cuban cigars at will? Yes, with the tax limits we mentioned above, once every 31 days. So I can't bring back all the boxes I see? No. But you can bring back many more than before. What about ordering Cuban cigars off the Internet, to be mailed to me? Is that now legal? Does this mean Cuban cigars will be sold in my local American cigar shop? No, the embargo still exists and that part of the law remains unchanged. Selling Cuban cigars in the U.S. remains prohibited. I'm a foreign traveler who lives outside of the U.S.—what about when I travel to the U.S.? Does this affect how I can travel with my cigars? Yes, the new laws do affect foreign travelers. Previously, foreign passengers were prohibited from bringing Cuban-origin tobacco or alcohol into the U.S. The new rules, however, have removed this restriction. You can come to the U.S. with Cuban cigars (and rum) if you're a foreign passenger, so long as the goods are not in "commercial quantities" and not for resale. I’m bringing back Cuban cigars from a trip abroad. Should I take any precautions? Be informed and be prepared. We recommend printing out this sheet of frequently asked questions posted by the Treasury Department. 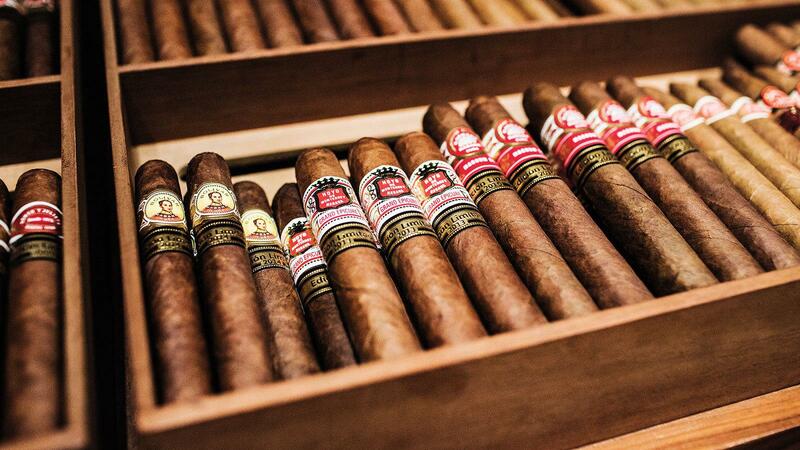 Items 34 and 35 specifically highlight your right to bring back Cuban cigars for personal consumption. Have it handy if you’re challenged by a Customs agent who may not be in the know. Are Cuban cigars now regulated by the FDA? No, the FDA only regulates cigars that are sold in the U.S., and Cuban cigars still cannot be sold in America. What Cuban cigars should I buy? You asked the right people. Here's a list of eight of the top-rated Cubans from our recent tastings. If you want a certain brand or size, search our database. Here are 15 facts you may not know about Cohiba, Cuba's most popular cigar brand. For most of its history Trinidad has been shrouded in secrecy and mystery. Here's a list of nine facts you may (or may not) know about Montecristo, one of the most recognizable cigar brands in the world.